On October 27 (tomorrow!) we will publish The Bridegroom by Amelia Mangan–the first Horror short story in our Halloween Tales – in what we hope will be an annual event taking place during Halloween Week. Today, Amelia Mangan is here to talk about the inspiration behind this unsettling story. Give a warm welcome to Amelia Mangan, everyone! I didn’t know I was going to write The Bridegroom. Not at first. At the urging of a friend, I’d determined to write something for this site’s “First Contact” story call, and spent weeks trying to come up with an idea that both really spoke to me and would, I hoped, be a somewhat original take on the theme. 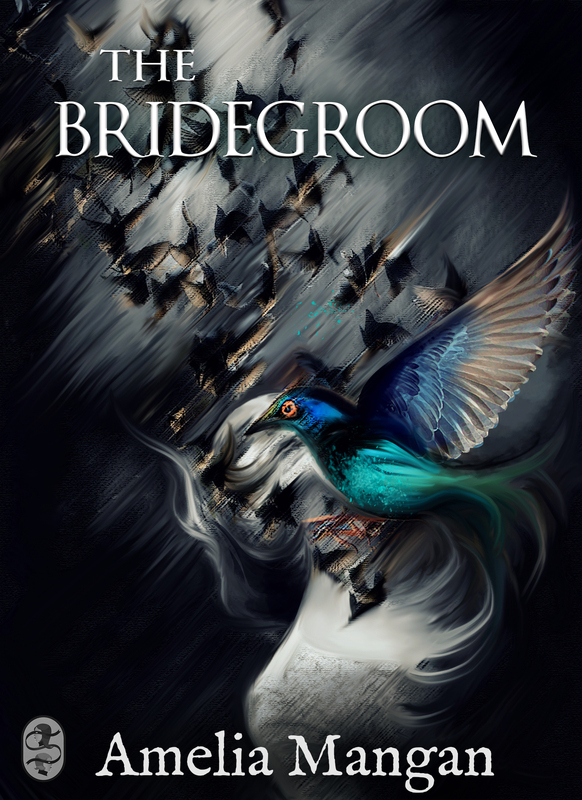 I’d just about given up when, drifting off to sleep one night not long before the deadline, The Bridegroom popped into my head, more or less fully-formed, and lodged there until I’d finished the first draft. The mysterious Uncle George’s roots run a lot deeper: I deliberately conceived him as an embodiment of the Demon Lover archetype, the stranger who comes to take you away from all you have known. This figure exists in every culture: he’s the Erlking, the Pied Piper, the Boogeyman. He lives in recorded myth and legend, and probably goes back even further than that, to some prehistoric icon embedded in our collective lizard-brain. Whatever you most fear, want, and fear to want, that’s what Uncle George is. Being a story with a strong visual bent, art and cinema also played a large role in influencing The Bridegroom. Mercedes Helnwein’s magnificent 2012 series “Make It Dark” – a strange and unsettling collection of drawings depicting teenage girls engaged in private, indecipherable rituals – influenced The Bridegroom a great deal. Likewise, David Inshaw’s “The Raven” (1971) and Will Barnet’s “Silent Seasons” quartet (1967), with their withdrawn, solitary young women in contemplation of a stark and vaguely ominous natural world. In terms of film, the strongest influence on the story’s mood and atmosphere was Last Year at Marienbad (1961), a sparkling, bejeweled puzzle-box of a film, and one that will, to paraphrase John Waters, get you punched in the mouth if you recommend it to people whose tastes you don’t know very, very well. The Night of the Hunter (1955) – one of my favorite films, overall – played a large part, too, in its invocation of Nature as an observant character in its own right, and the menacing masculine figure at the story’s heart. Hitchcock’s 1943 Shadow of a Doubt (and Park Chan-wook’s brilliant, fever-dream 2013 reimagining, Stoker) played a very large role in the conception of the story; I’ve glibly referred to The Bridegroom as “Shadow of a Doubt if Uncle Charlie were Nyarlathotep”, and hopefully it at least halfway lives up to that description. This, then, is the bloodline of The Bridegroom: long, tangled, and full of isolation, longing, deviance and madness. What prouder lineage could one have? Oh my! Loving your Halloween Week festivities! So fun. Great reads.